When I saw the theme for the 2018 Ancillary Merchandising Conference in Edinburgh – using digital for your ancillary revenue growth – I knew I had to be there. Digital and airline ancillary revenue are exactly the two areas covered by Diggintravel’s annual research. In our 2017 Airline Ancillary Survey, we analyzed 23 airlines, concentrating especially on their post-booking ancillary tactics. In addition, we analyzed 28 airlines and their ecommerce and digital maturity in our 2017 Airline Conversion Optimization research. 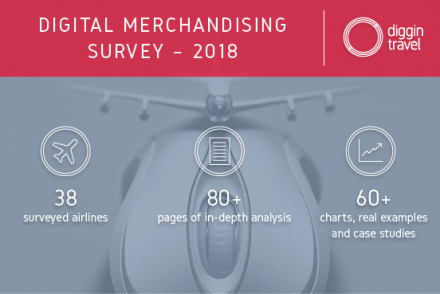 The more I thought more about the concept of airline digital merchandising, the more the idea to combine ancillary revenue strategies with digital made sense. So, I started the 2018 Airline Ancillary Survey with one goal in mind: to make it even more digital-focused. I wanted to build on the 2017 research results and go even deeper into how airlines use digital for ancillary and merchandising. How do you use data for post-booking ancillary offers (personalized offers)? Do you use marketing automation platforms for post-booking? Which UX optimization processes do you apply to your ancillary upsell and cross-sell activities? 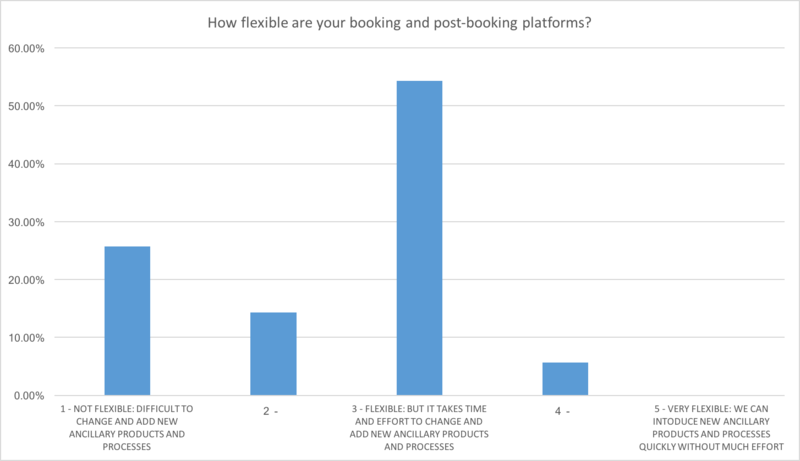 How flexible are your digital booking and post-booking platforms? Do you experiment with advanced digital concepts (like artificial intelligence, machine learning, predictive analytics, recommendation engines)? Can’t get more digital than that, right? I’m confident that adding the answers to these questions to the learnings from the 2017 airline conversion optimization research will give us a very good understanding of what it takes to be a digital merchandising champ. While the survey is still running, I can already say that it has had a great response: 35 airline ancillary pros have provided their insights so far. NOTE: If you’re an airline ancillary professional and want to join our survey, please reach out to me! However, even before the final analysis is done (a white paper PDF with the full results will be published in late April), two problem areas are evident from this and all previous research. I wanted to share these with you, as we’ll be discussing them with other ancillary pros in Edinburgh. This is especially true for digital customer centricity. 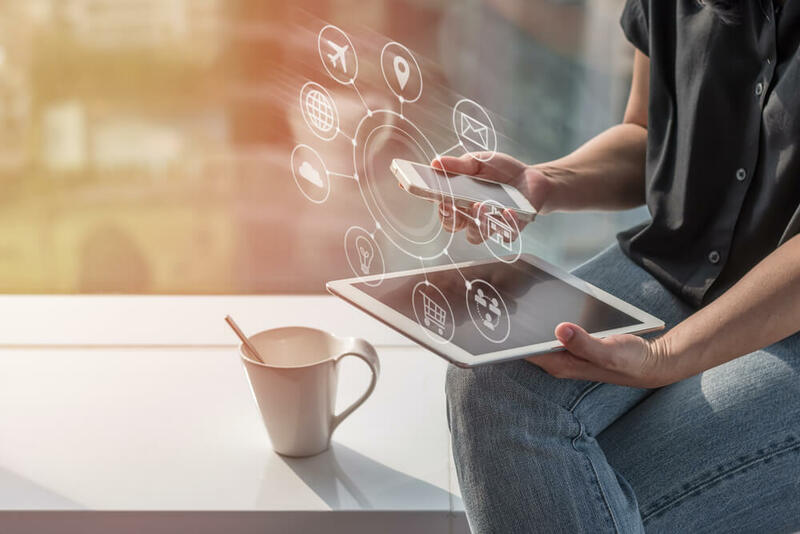 If you don’t believe me, check out what airline CRO leaders have said in our research, or what Booking.com is saying about why being customer-centric is the key. However, last year when we assessed airlines with our CRO maturity model, half of the 28 airlines were identified as laggards. This basically means that they are not very customer-centric when it comes to designing their websites. This was an assessment of the main store-fronts (airlines.com), so you can imagine it doesn’t get better when it comes to post-booking and other ancillary platforms. 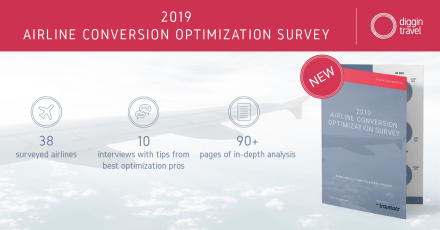 In fact, in terms of applying the conversion optimization process to ancillary upsell and cross-sell activities, less than 15% of surveyed airlines claimed to be doing it. Basically, when it comes to digital merchandising most airlines do web or email analytics, some do a bit of A/B testing, but only a few have a real user-centric approach (CRO process in place). Without a real user-centric approach to digital UX, you can’t do any real digital merchandising. However, the “blame” is not only on the airline side. Yes, there are still some who don’t see the real value of the user-centric approach and conversion optimization. On the other hand, many ancillary pros who participated in the survey said they would like to do it, but just can’t. In every survey I do, I ask you about the biggest pain points. IT and platforms that are not flexible enough are always on the top of the list. As you can see, none of the surveyed ancillary revenue pros is fully satisfied with their merchandising platforms. 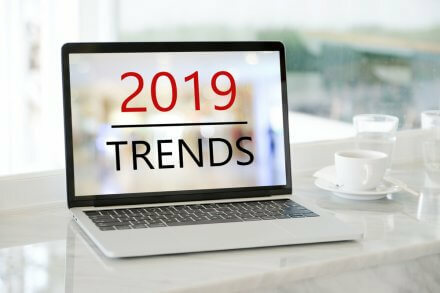 In fact, 25% claimed it’s difficult to add a new ancillary product or make changes to their merchandising processes. Changing the channel UX’s quickly to test new ways of selling – the channel programming process is too slow. Flexibility in our digital channels to introduce products (new and current) and do A/B testing. How Can We Help You With Your Digital Merchandising? Reflecting on these two challenges and the feedback from the 2018 ancillary survey made me think about what I can do to help you. The first issue (adopting a user-centric digital mindset) is straightforward; Diggintravel was built for that. This is why we did the first-ever airline conversion optimization research. Last week we also started our Digital Talks, where we’ll interview airline and travel digital leaders so you can pick their brains. The second issue (inflexible booking and merchandising platforms) was more tricky. As a former airline IT & ecommerce manager, I’ve been in your shoes. I too was frustrated by legacy platforms that didn’t allow us to experiment, perform A/B testing, or really be agile. This is why I wanted to connect with a person who has experience with developing airline merchandising platforms and who has the same passion – passion for user-centric UX design, passion for building agile, modern ecommerce platforms. I didn’t want somebody to just sponsor my research & white paper, but rather somebody who really shares the same values. When I first met Mike Slone, the CEO of Travelaer, one thing was evident: he’s not your typical CEO (his title is actually Chief Experience Officer). I’ve talked to many airline tech providers, and he’s one of the rare guys that really understands what conversion rate optimization is all about. That it’s all about user-centricity. Basically, he is “preaching” the same things I was in our Airline CRO research, just using different words. The final and most important guideline is simplicity and transparency. I wrote about both in the first blog post I ever published and it still holds true. Want to Kick-Start Your Ancillary Revenue Growth?